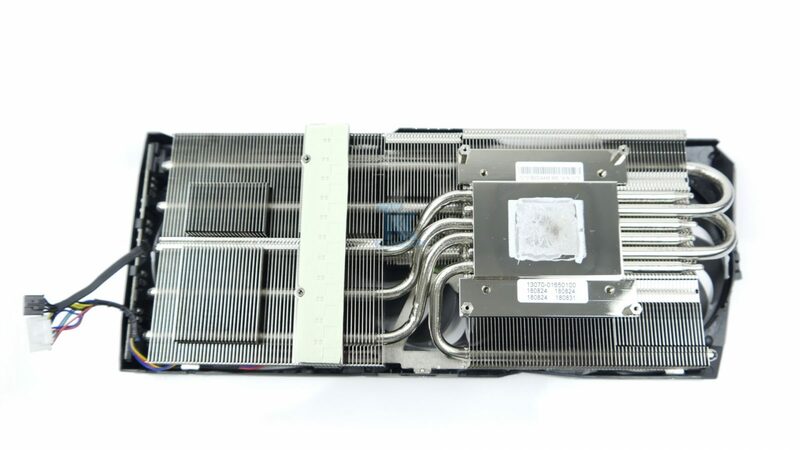 The cooler is attached to the backplate with six screws, to remove the cooler completely you need to disconnect two power connectors, one for the fans and one for LEDs. The new cooler DirectCU III has 6 nickel-plated copper heat pipes with an aluminum dual fin-stack heatsink. The whole PCB supported by a metal plate that covered the memory chips. With everything removed, we can see the VRM setups on both cards, the first one is ROG STRIX RTX 2080 Ti and you can see 16+3 phase Super Alloy Power (SAP) II design. 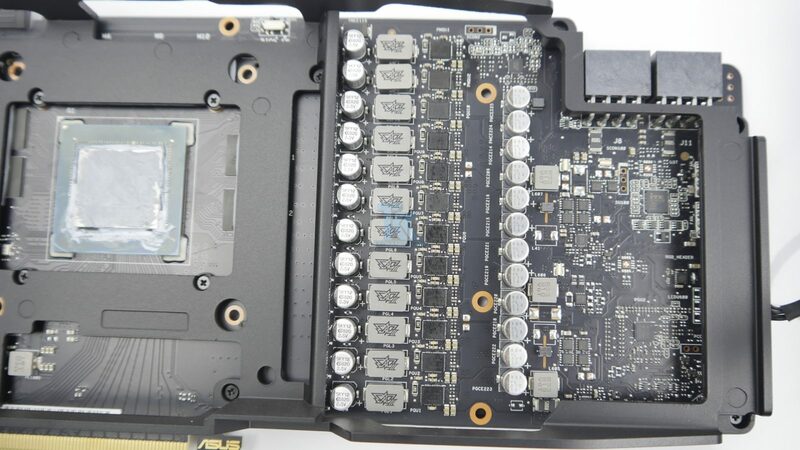 In the center is the TU102 GPU, as we can see it labeled ‘TU102-300A’, with the ‘A’ stand for that this is a binned chip suitable to be sold with a factory overclock. 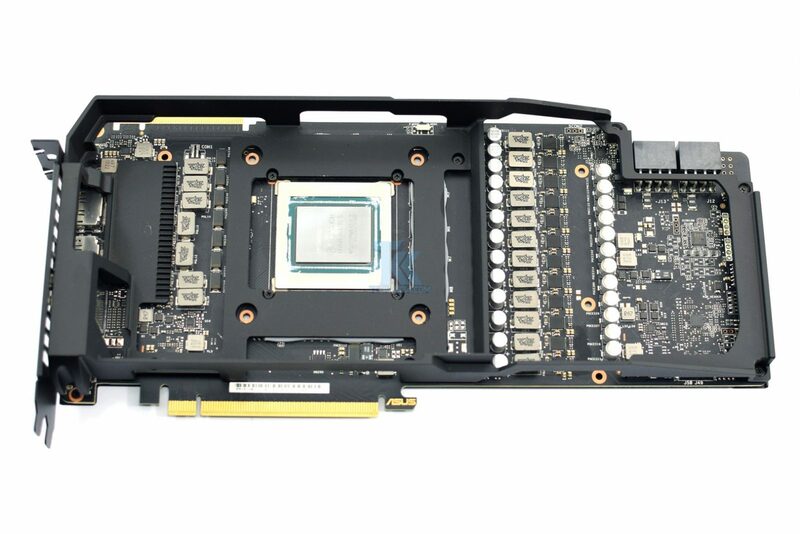 Around the GPU is the 11GB of GDDR6 memory chips from Micron. 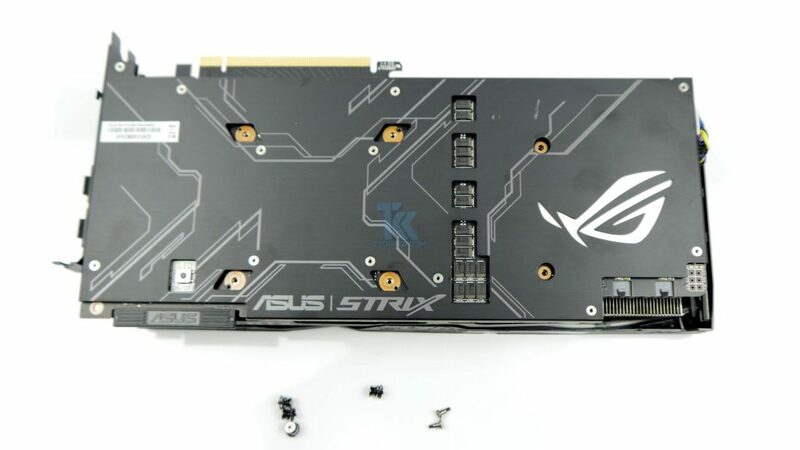 Next up is ROG STRIX RTX 2080, which comes with 10+2 phase Super Alloy Power (SAP) II design. 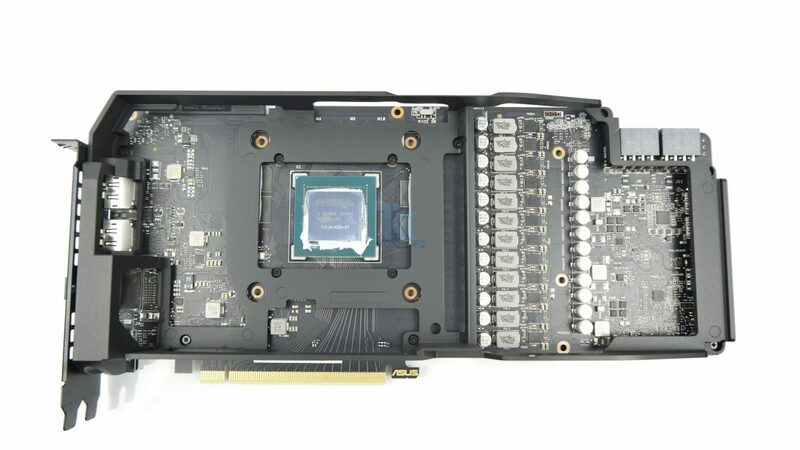 The GPU is TU104 which is labeled ‘400A’ also a binned chip. 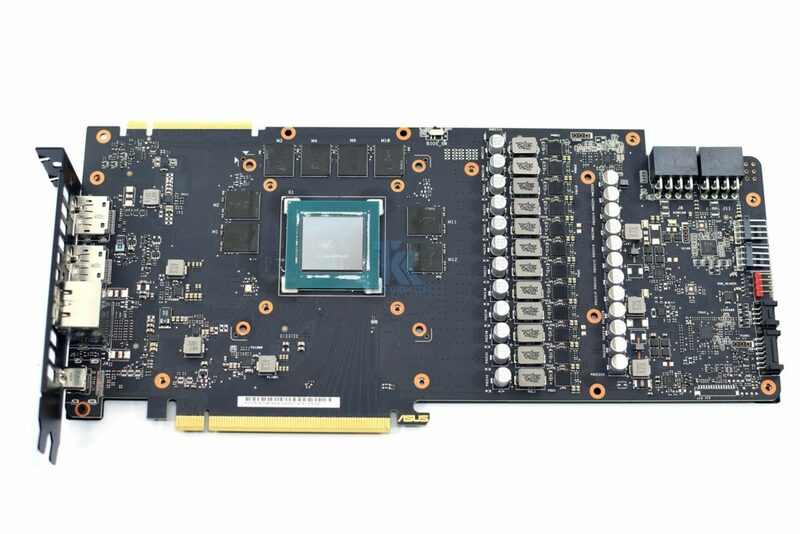 Around the GPU is the 8GB of GDDR6 memory chips from Micron. Another thing worth noting is the BIOS switch at the top of the PCB. This lets users choose between the ‘performance’ BIOS or the ‘quiet’ BIOS – the only change is the fan curve is drastically reduced when using the card with its quiet BIOS.